Captures of several large specimens of goldfish Carassius auratus in Lake Tahoe, California-Nevada, USA have been blow way out of proportion. 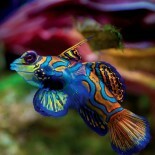 Unquestionably, the fish result from aquarium releases. This is a real problem. Several fish in California and Nevada- and elsewhere around the world- are now endangered as a result of such introductions. Whether “giant” goldfish in Lake Tahoe represent much of a threat is questionable. 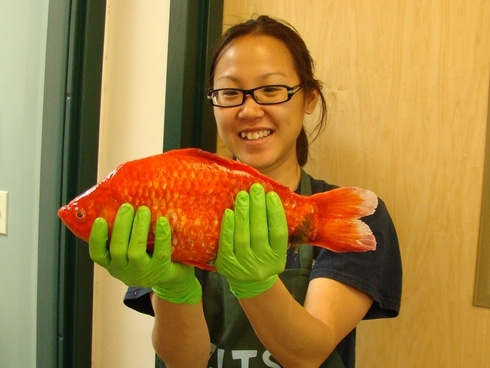 The fish captured thus far have been characterized as large and red to gold in coloration. From this Beel concludes they are several years old and are domestic in origin. The bright red and yellow colors of domestic goldfish are very quickly lost once the fish breed in the wild and the progeny of these matings quickly revert to the wild color type (see below). Despite reports to the contrary, no evidence yet has been presented that goldfish are reproducing in Lake Tahoe. Concerns about ecosystem effects also are probably misplaced because common carp Cyprinus carpio already is present in the lake and goldfish really won’t do anything vastly different ecologically. For sure, they’ll add a little excitement and variety to glass-bottom boat tours on the lake, but that’s about it. This entry was posted on February 22, 2013 by denstormer in Commentary, Natural History and tagged carp, invasive species, USA.